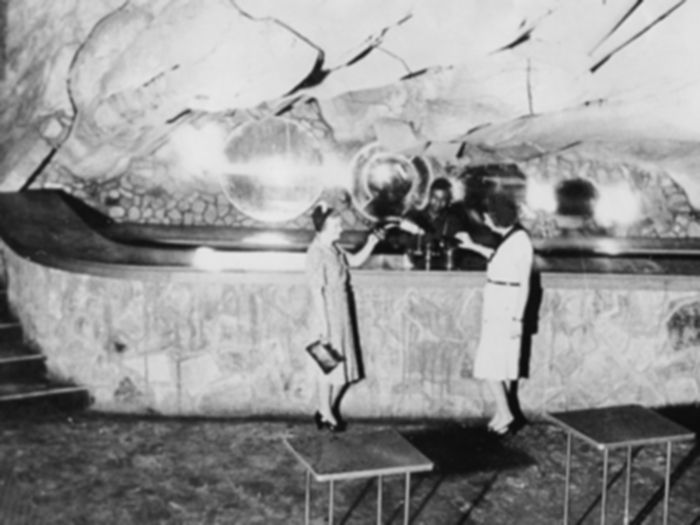 Bangor Cave in Blount County, Alabama was once labeled “the only underground nightclub in America.” The night club only existed for a year and a half near the resort town and mineral springs of Blount Springs in the late 1930s. Bangor Cave was discovered in the late nineteenth century by state geologist Walter B. Jones located about four miles northeast of Blount Springs. There are three entrances to the cave. One was created artificially when the cave was used as a nightclub. A spur of the Louisville & Nashville railroad terminated at the Bangor station and carried people almost to the door of the cave. “One unique difficulty in preparing the speakeasy was the lighting. According to a Birmingham newspaper of the day, “electrical engineers studied the lighting possibilities for weeks, seeking to obtain proper effects. The results are that Bangor Cave, in the fastness of Blount County hills, will sparkle with lights like Broadway. The conduits are underground so as not to disturb the overhead stalactite formations. The engineers illuminated the interior with a variety of colored lights designed to bring out the various colors of the stalactite formations. Through the café, lounge, dance space, check rooms and various other features in the club lights have been placed in the most unexpected and unlooked for places. All are of varied colors which creates a scene of rare beauty. Almost immediately, raids and legal proceedings began against the nightclub after it opened in 1937 with Governor Bibb Graves in the forefront. 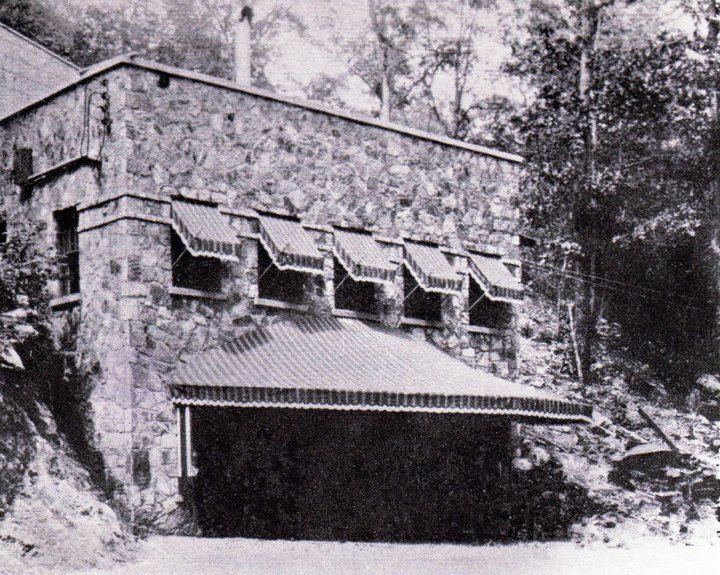 The owners shut the nightclub down in January 1939 and the wooden structures within the cave burned in January 1940. Three men arrested after a raid on Bangor Cave in Blount County made bond today on charges of operating and running a gambling casino, Sheriff Ed Miller, who had taken office only a few moments before the raid early yesterday, said all were part owners of the establishment. When he and two deputies arrived “the place was teeming with more than 2,000 persons,” Miller said. He said he allowed the dining room at Bangor Cave to continue in operation. Sadly, the cave has suffered structural and cosmetic damage over the years from use and vandalism. 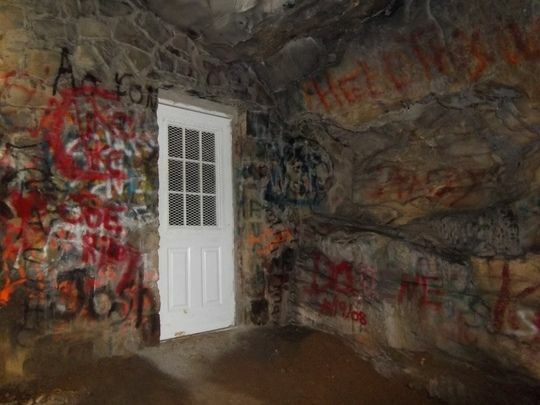 Most recently, the cave is not open to the public and has been purchased by an individual who has been restoring it and working to remove the spray paint as shown below. How many caves have you visited around Alabama? I have been so curious about this Bangor cave and excited to read and see some pictures. I am wondering who bought the property? Around February 2010 a picture was taken at Bangor cave by a photographer, we never got his name but he said he was from Birmingham. The picture was of me & my (now) wife; at the opening of the cave. We would love to make contact with the photographer. eringer and Pahoo TV shows. Thank you! Did someone purchase the cave or has the state taken over? Its an awesome place! Someone bought it and closed the road access. I grew up right near it and used to roam all through it. Not sure what they’re planning. It’s very cool, as is Bryan’s cave which is nearby, but also no longer “legally”accessible. This is similar to the Wabasha Street Caves in MN w/ nightclub and all. (I relocated to AL from MN.) As wiki says, however, Wabasha is technically a mine and not a cave. Cool nonetheless. Been there many times and avid caver of tge many caves in thT area . Historically the cave was the scene for many passer bys from the railroad . The back entrance was very popular . Maybe a few know that KKK actually shut down the cave during early days Prohibition. The new owner is Peter Keeku. He’s from Florida. He has finally gotton all the nasty graffiti off all the beautiful cave walls and floor etc. He has made a beautiful rock patio at the entrance and put tables and chairs on it. The inside of the stage room and the bar has been completely finished. He has a grand trail all around the grounds. He put in small bridges for the walkways across the streams. He also purchased the old Bangor firehouse and is fixing it up to become his home. It’s true it is privately owned by this handsome bachelor. I know him personally, he’s a good friend and he owns homes and land in 3 different states. Hope this clears up some gossip about “The Bangor Cave”. By the way, why it is closed to the public is because people had torn rocks away, garbage everywhere, beer bottles broken all over and people would have parties, get intoxicated, start fires an not put them out, the acreage has burned away twice. The fire dept has been called out and it’s volunteer and has been out a lot of money for man power and things used for cleanup products. If people had of been more careful and didn’t vandalize it might still have passage to the public, but it would have cost to much for insurance for it. 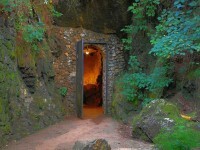 Use to go there when i was a teenager alot and go thourgh the cave. Took my daughter a good bit but she would only go to the bar part. It was an awesome place i loved it there. Donna love the article. I have had the chance to meet with Mr. Peter Keeku and interview him on Bangor Cave. Very nice gentleman. It is ashame what some people will do, Peter has worked very hard to try to preserve one of our Alabama historical sites. I wish people would respect one of natures wonders and not vandalize the property. Hope to catch back up with Peter to take some more pics of the cave. This property is private property and should be respected as such. Thanks Ron, I’m glad someone owns it now and it is being protected. It’s sad that once the public has access to historic sites like this, then some vandalize the property to ruin the opportunity for all to see it. If you take some more pics, email a few here and I’ll add them to the story. Took my children and grandchildren to it many times. One time we heard a strange noise. It was a Volkswagen coming out of the cave. Would like to visit it again someday. 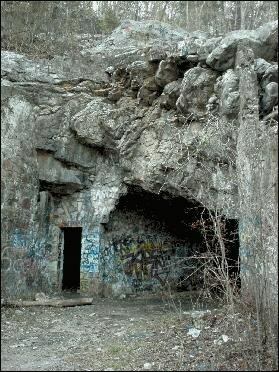 The same reason this cave is closed holds true for many landowner caves across this state. Alabama does have a cave law in place to prevent this that needs to be enforced as people in this state take these special places for granted and continue to trash one after another. was someone not aware that Shelta Caverns in Huntsville was a club 30 years before this? It’s a shame we can’t get in there now. I would love to visit this place! My peoples is from there!!! Frank Nall. I’ve heard about this place. You? I don’t think I wanna be drunk that bgadly to go in there! Need to check out the Rattlesnake Saloon up in the Shoals area. 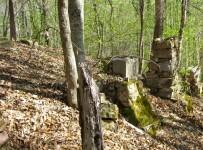 Desoto cave was a speakeasy in the prohibition years as was the dismals . And every other hole in the ground I suspect. 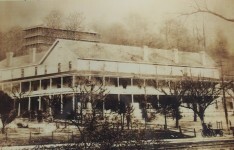 The underground tuscumbia went from the palace to the court house. Underground Florence went in a Wye from the federal building to court street by way of shoals theater. at least the only one in Blount County. Would like for the current owner to open it up again in some kind of venue. Exactly where is the cave located? I know where the interstate is where 31 ends. Then Top Hat, hwy 7, highway 9. What what landmark would I look for? old highway 31 north of. Top Hat BBQ .on right thru curves railroad runs parallel with you . There was an underground Club (cave) in Huntsville, AL do some research. Used to go there while ‘playing hooky’. 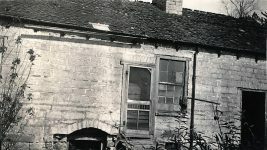 There was a large safe with the door blown off in there in the late 50’s. It was rather difficult to get to the entrance at that time. I understand that Al Capone would frequent Bangor Cave. Heard similar stories…..one such story was “a person backing out with his winnings with a gun backup”……this was from grandparents who lived a few miles away….back in the day…. Been there. Flashlights and all. Saw pics when it was in operation, it was a majestic place. 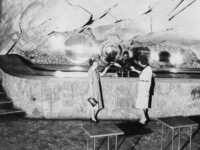 I especially remember the bar made of carved rock and the theater room (projection room). Talked to some folks that had parents that had been there in its heyday. There was also the remains of a foundation on top of the cave that was told to have been a brothel. It is a shame that this place could have not been made into a tourist site. Banger Cave was awesome to see even with a flashlight and it had been stripped of chandeliers and marble floors. 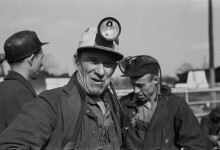 I’d you go to the web site, Banger Cave Blount county, ala. You should still be able to see old pics. The place was on the market in 2010 for $100,000. It was sold to someone who lives in Florida. I’m not sure why the county didn’t purchase it. It would make a great tourist attraction. Now the closest thing we have in AL is the rattlesnake saloon. Correction: Huntsville had one too. There are dozens of uniquities about our state. Not all of them were listed in that, was it 3rd or 4th grade, textbook? We had a really nice cave right beside our farmhouse in woodville. It was a nite club of sorts as David stored all the beer and wine he made in it until some bodies found it and consumed it all and left us empty bottles. I can assure you they left pretty high as it was all pretty strong stuff. I remember hearing my grandfather talking about going there when he was young. I had been there before with my uncle Charles Dollar and my buddy Brit Sullivan. Good times and a cool cave. Please, don’t try to visit. It is now private property and the owner has placed “No Trespassing” signs on it. There was group of friends that decided to visit Bangor Cave in the last couple of years; someone broke their leg, and the Rescue Squad had a hard time getting to them and getting him out. That was not Bangor. It was a cave in Smoke Rise. Wrong there was a bar in Leeds Alabama in a cave back years ago ..I use to hear old timers talking about it . There was one in Murfreesboro Tennessee out near the V.A. on 231N. Not the only underground nightclub in America, only underground nightclub in America until you get to the next underground nightclub in America. I have seen least A half-dozen of these here and there. And of course they all say they are the only one. People around Kylmulga Cave, now commercialized as Desoto Caverns, make the same claim about a night club operating there. It’s in Talladega County near Childersburg. Open to the public. Back even earlier the Indians used the cave to store food as it was cooler in there. 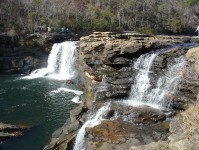 Its close to the border of the Cherokee and Creek Tribes. They also used the cool dark area to promote mold in hollow stumps filled with water that would be used medically. Back then it was black and accumulated on the insides of the wooden stumps underwater and today its called Penicillin. Al Capone never visited here, he was in federal prison the entire time this nightclub was in operation, which is not exactly hard to figure out. Went there a while back, truly interesting sight. Shame they had to cut access to it, although it didn’t appear to be very safe even when I went years back. Visited Bangor Cave in the early 1950s while attending St Bernard’s in Cullman. One more time, not the only underground nightclub in America, not even remotely. Underground nightclubs in caves are common, a dime a dozen! The cave entrance behind the national speleological society office in Huntsville Alabama was a dance hall for years during that era. You obviously didn’t read the entire article. At that time it was billed as the only underground nightclub in America. 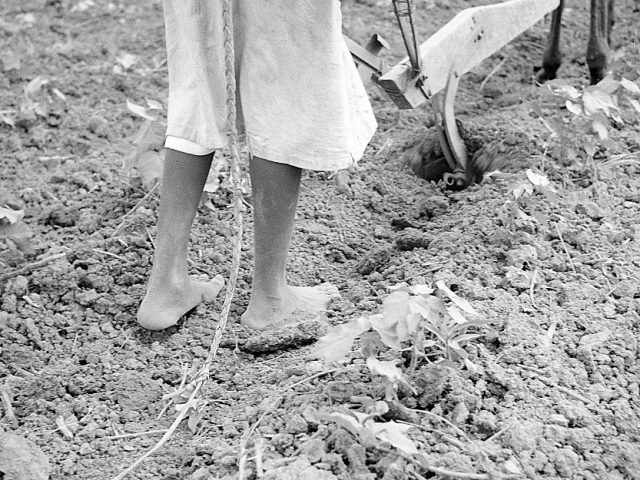 1937-1939. In my earlier spulunking days, I had covered every inch of that place. There are some hidden surprises there. It saddens me to think of it being vandalized. I visited the cave many times in the 1960s and ’70s. Isn’t Desoto Caverns in Alabama too? DeSoto Caverns in Childersburg was a night club in the prohibition days according to my mother-in-law.